Located on the northeastern coast of Florida, Jacksonville is a popular surfing and swimming destination, especially for those who want to avoid the Miami crowds and prices. If you're planning to visit this large coastal city for vacation and want to save a bit of money, there are plenty of things to do in Jacksonville for free. Although some events and attractions are open year-round, most of the free events in Jacksonville are announced monthly and you should check the city's events calendar before you start planning your trip. Jacksonville operates the largest outdoor urban park center in the United States, with over 80,000 acres of parks. The city has 262 parks, including the Timucuan Ecological and Historic Preserve in the Fort Caroline area and the city's first park, Hemming Plaza, located in downtown Jacksonville. The city of Jacksonville takes great pride in its parks, and each of them offers a relaxing environment with great scenery. Memorial Park in Riverside, for example, sits on the edge of the St. John's and has a great view of the river. 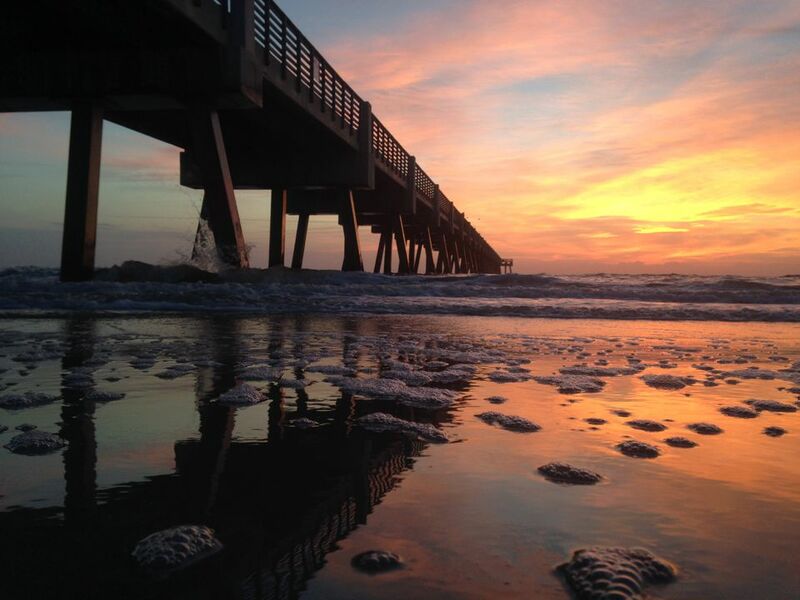 Jacksonville's beaches are the most popular in the country, according to information compiled by The Daily Beast., and most of the city's beaches offer free public parking and hosts free events, such as outdoor concerts and festivals, throughout the year. If you don't mind a bit of a drive, Amelia Island is located just 14 miles north of downtown and offers some of the city's best beaches including Fernandina Beach. Aside from the price of gas, you can visit any of the 40 public beaches for free all year long. Jacksonville's downtown art walk has quickly turned into one of the most popular Jacksonville events.Downtown Art Walks are held on the first Wednesday of each month from 5 to 9 p.m., rain or shine. Centered around Hemming Plaza, this free event extends several blocks across expands several blocks of downtown Jacksonville, and the Jacksonville Landing usually features a special event or two for ​the art walks. Jacksonville is home to a number of high-quality museums, including the historic Cummer Museum of Art and the Museum of Contemporary Art, and MOSH, the Museum of Science and History, is a popular family destination. While most of Jacksonville's museums have a small entrance fee to help with operational costs, some offer special promotional pricing on events throughout the year. The Cummer, for example, provides free admission on Tuesdays. The city of Jacksonville hosts a seasonal event known as "Movies in the Park" that's held in Treaty Oak Park and features free outdoor movies. Classics such as "Back to the Future" have been shown in the past alongside newly released films like the Disney's "Moana." Movies in the Park is a Spring event, held for four consecutive weeks. The city of Jacksonville Beach holds a similar event, known as Moonlight Movies on the SeaWalk Pavilion. There are a number of free concerts and festivals throughout Jacksonville year-round. The best example is the Jacksonville Jazz Festival, which is held each May and features a number of high-profile Jazz performers. The Jacksonville Landing often has free outdoor concerts as well, and although the musical guests are often local or regional acts, bigger names come through from time to time, such as The Flobots (known for their 2007 hit "Handlebars").